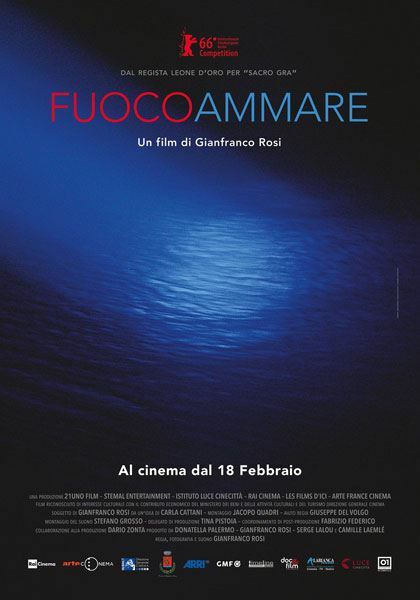 Italiensk Kulturforening i Stavanger - Filmkveld "Fuocoammare"
Winner of the Golden Bear for Best Film at the Berlin Film Festival 2016, Gianfranco Rosi's incisive, poignant and deeply moving portrait of the Mediterranean island of Lampedusa--and the humanitarian crisis occurring in the seas around it--is both a masterly work of documentary filmmaking and a timely call for urgent action. Situated 150 miles south of Sicily, Lampedusa has hit headlines as the first port of call for hundreds of thousands of African and Middle Eastern refugees hoping to make a new life in Europe. After spending months living on the island and engaging with its inhabitants, Rosi accumulated an incredible array of footage, portraying the history, culture and daily lives of the islanders. Focusing on 12-year-old Samuele, as he explores the land and attempts to gain mastery of the sea, the film slowly builds a breathtakingly naturalistic portrait of the Lampedusan people and the events that surround them. The result is a lyrical, poetic and searingly powerful documentary that casts neither judgement nor aspersions, but simply shows the world to the viewer--to utterly devastating effect.